Serving every market, the vast amount of projects and their complexity has proven that we are an industry leader. In fact, explains Justin Ayers, President, “We are known in the industry as the ‘go to’ guys, a reputation earned by tackling quick lead times and jobs that others may have turned away. We consistently put out high quality products, on time, and at a fair price. 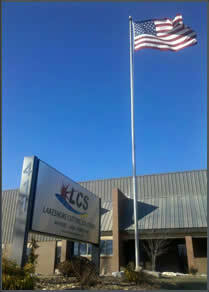 I credit our capacity, our extensive industry knowledge, and our talented people for the innovation at LCS. We can just about do it all!” This sort of “can do” attitude permeates the entire company and is the reason that we enjoy long-term relationships with our customers. Operating out of a 45,000 sq. ft. facility with plenty of room for expansion we have the means to only improve on our equipment, facility, employees, and valued customers. We are a customer focused organization, priding ourselves on meeting our customer’s quality and delivery requirements. 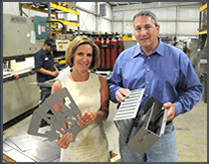 With our continued commitment to our customers and employees we are surely to remain an industry leader.